Alfred was King of Wessex from 871 and was the founder of the modern English nation. Up until the time of Alfred, the island of Great Britain was divided between different warring kingdoms. However, during his reign, Viking invaders from Denmark, frequently landed on British soil causing much damage, fear and loss of life. At one point it looked as if the Danes would completely conquer Britain, King Alfred was forced to retreat from the invaders to the impassable marshes of Somerset. 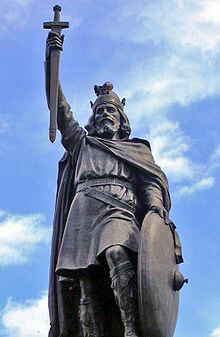 However, King Alfred marshalled the troops and led a swift and decisive counter-attack which defeated the Viking invaders. This not only relieved the perilous situation but gave a new found confidence in Alfred and his commitment to a united Britain. In the future, Alfred was keen to promote proper naval and land defences, which weakened the effectiveness of future Viking invasions. Unusually for a King of that time, Alfred was interested in education and he personally translated several Latin works into English. Many regarded him as the greatest Western European ruler since Charlemagne. As well as defeating the Danes, Alfred forged closer links with Mercia and Wales. This is why he is often regarded as the founder of the British nation. It was Alfred, more than anyone else who had a vision of a united Britain. He also sought to reform some customs like blood feuding, which he viewed as a very primitive form of justice. Citation: Pettinger, Tejvan. 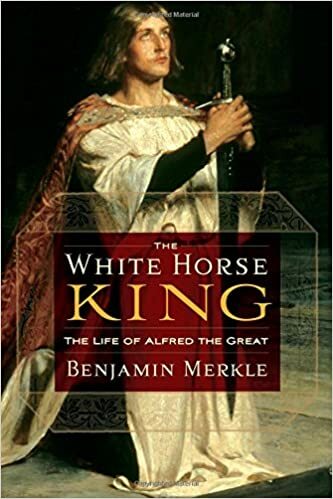 “Biography of King Alfred”, Oxford, UK. www.biographyonline.net. Published 27th February 2012.